As 2016 comes to a close, we want to look back at the progress of the TTT program of which you have been an important part of. Thanks to your efforts, enthusiasm, and dedicated participation, our initial cohort of 57 environmental law teachers and scholars has now grown to 169 individuals from over 105 institutions — and counting. 2 regional TTT Programs at ADB headquarters were held in 2015 where 57 law professors and university lecturers from 14 ADB developing member countries were trained. Most of them are leading TTT programs, advocating for the inclusion of environmental law courses in their institutions and promoting the teaching of environmental law in their own countries. 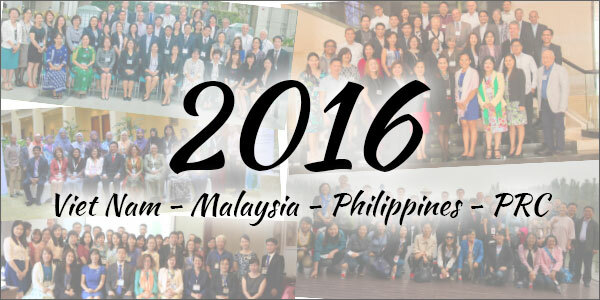 4 in-country programs in Malaysia, Vietnam, Philippines and the People’s Republic of China were delivered in partnership with the National University of Malaysia, Hanoi Law University, University of Cebu College of Law, and Peking University Law School serving as host institutions. These in-country TTT programs were led by the same participants from the 2015 regional TTT programs. The 1st Regional Roundtable of Environmental Law Champions was convened in June that brought participants together to reinforce the learnings and commitments generated. In-country networks of environmental law champions and institutions have been established in Malaysia, Vietnam, Philippines and PRC, and these continue to grow. Excellent feedback from participants and the environmental law teaching community were received (www.youtube.com/watch?v=f5RDUZPCwW8&t=2s). To keep us all connected, we are preparing the database of environmental law champions across Asia. May we request you to complete this online form to make sure we have your information complete and up to date. We will be updating you on the progress of our knowledge products, online resources, and our TTT website. Thank you for all your great work and dedication! We wish you a wonderful 2017!